How to win friends and influence people part II – the “digital era edition.” Did we forget to mention “brand mentions”? What Are the Most Popular Websites? Before we start talking all things brand mentions, let me ask you a question. Has it ever occurred to you that the most popular websites on the Internet are the websites that give information or provide links to other websites? Websites like Google, Yahoo, Reddit, Live.com and others are nothing but links aggregators better known as search engines. They’re all in “Top 100 Most Popular Websites on the Internet” not to mention Yelp, TripAdvisor, or Booking. How come? What, we’re so clueless that we need all these websites to guide us? Well, it appears so. How Come We Need So Much Guidance? Believe it or not, there was a time when there was no Google and you had to type in the name of the website, which of course you knew by heart. Those of you who are over 30 may remember this time. However, due to the rapid development of the Internet in the late 20th – early 21st century, the abundance of information had become so overwhelming that you couldn’t rely on your memory anymore. People needed guidance. Soon came the guidance – in the form of various search engines and aggregators as they rose to prominence during that period around 20 years ago and still prospering now as we speak. Whenever you want to find a website, you would first refer to an aggregator of sorts, and then pick the one that suits your needs judging by some parameters – hidden or explicit, which we’ll get to in just a moment. Who Ranks Stuff on the Internet? In short, it’s the public and the search engines/aggregators. And speaking of search engines, they’re far more influential than the public. 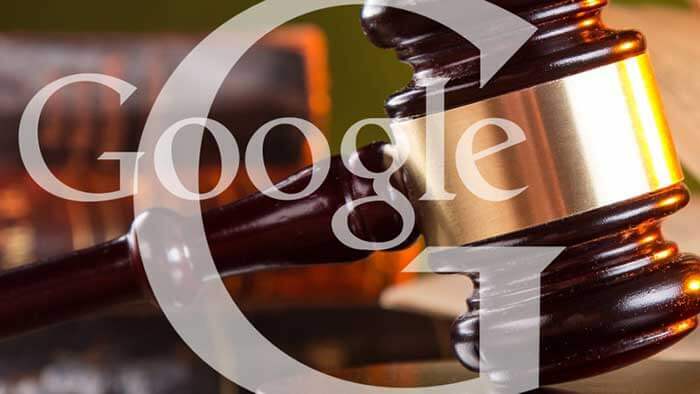 Google, Bing, Yahoo, and others have their own established ranking system/algorithm that decides which websites will show up on top. For better or worse, they set these rules that we all as site owners have to comply with. Even more so, there are people who act like they know a great deal about how these search algorithms work and use their supposed “knowledge” to help other people get their websites rank higher. What about the public? How does their opinion influence the choices we make on the Internet? Firstly, through direct product/service ratings and reviews. People who’ve had some experience with a product or service, tell other people about it in order to ease their decision-making process. There are also people who consider themselves so knowledgeable about everything that they take on the role of a critic and talk about stuff as if they were experts (which they’re obviously not in most cases). However, other people would often listen to so such opinions delivered by these critics. Finally, there are brand mentions! What are they? Generally, brand mentions are instances when a company/brand is mentioned on the Internet, usually on social media or in a website article, blog post, or another piece of content. Brand mentions may have a link to the initial website or may not – either way, they’re considered such. Also, brand mentions can come in the form or a hashtag, which are quite popular these days. 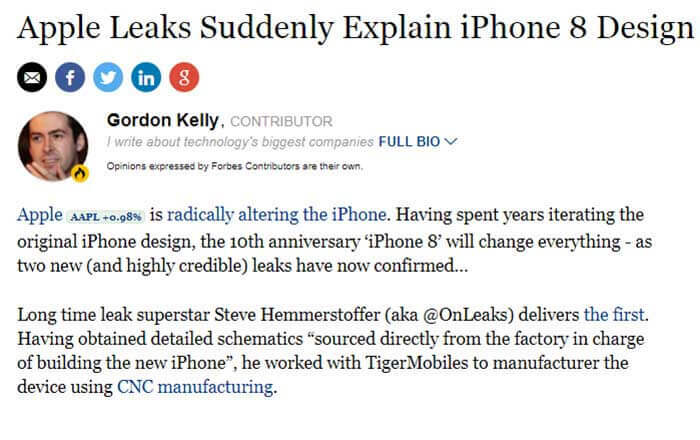 Here, the Forbes author namedrops Apple and iPhone (iPhone 8 specifically). 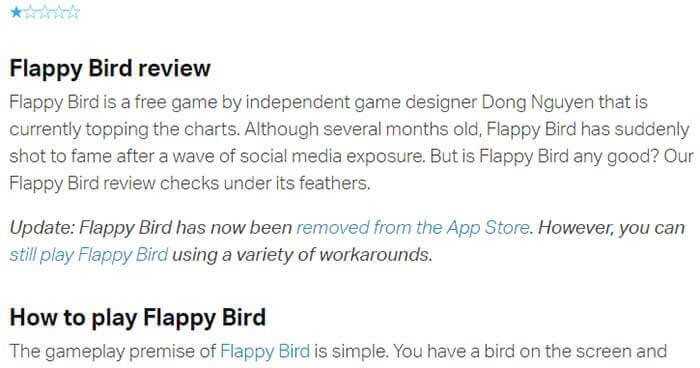 Another example is a review of Flappy Bird, a now-extinct cult classic game from 2014. The author mentions “Flappy Bird” and “App Store” brands. Well, it’s obvious – because when people are talking about you mentioning you, that means there’s a substance there to talk about. Otherwise, they wouldn’t have. However, when someone mentions your brand on the Internet, it’s not always to praise it. More often than not, you’ll find people talking crap about your product/service venting their frustrations in hope for others to notice. People are people – feeling good a given state of being while feeling disappointed is a state people rather not be in. Whenever they are disappointed, frustrated, or simply pissed, brace yourself for impact as a sh*tstorm will surely ensue. Therefore, it’s good to know what your fans (or, rather, haters) are up to – what they think of your product and in what context. This information may prove extremely helpful to you in terms of future development, positioning, and Internet marketing. Likewise, by spotting the resources, on which people talk about your brand, you can easily establish the connection and find new marketing opportunities. Here are three main benefits of uncovering brand mentions. Little things that lead to big conclusions and actions. Tracking your brand mentions online using various tools (subject to a different article on our blog) often helps spot the avid supporters of your brand – people who are somehow connected to it. Discovering these people and interacting with them should be your primary target if you’re just starting up as a business. 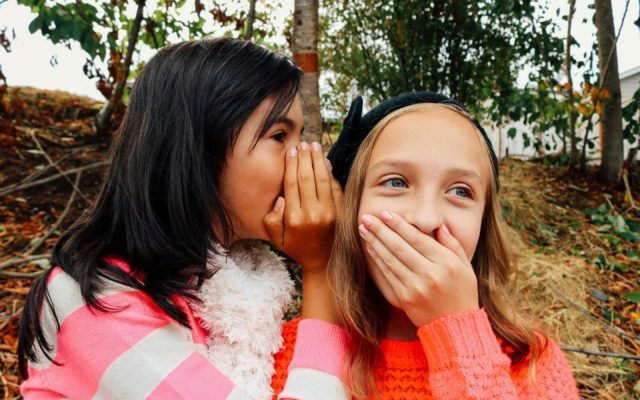 Word-of-mouth promotion makes wonders, as people tend to share their unexpectedly pleasant experience. As soon as you spot someone mentioning your brand in the positive light, give these people a shout-out, engage into a conversation, or simply share their posts on your website/social media page. If there’s a heated discussion going on and people are talking sh*t about your brand, it also wouldn’t be unwise to step in and react. Be careful and selective in this case though as you risk stumbling onto a pathological hater who hates for the sake of it. Stay AWAY from this kind of people. Finally, when you see people discussing your product on some specialized forum or within a community, it may be a good sign for you to take a closer look – perhaps, there are marketing opportunities for your brand lying right there in the form of ads, promotion, giveaways etc. These people might be the target audience you’ve been looking for – would be a shame for you to not take advantage of such an opportunity. When it comes to business and product development, honest customer feedback is what matters a lot. 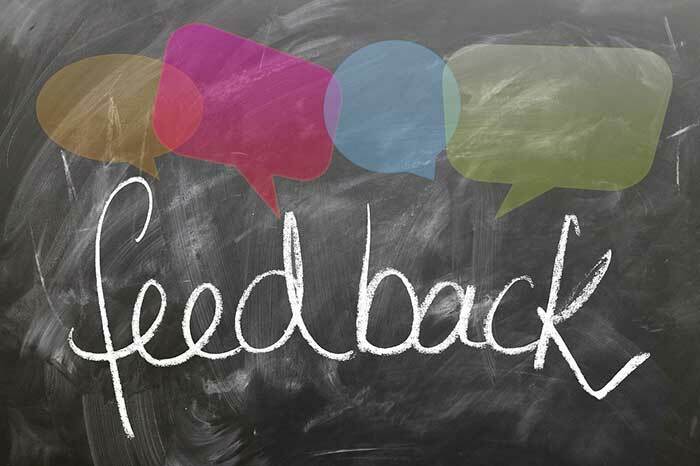 Businesses tend to get tons of feedback from their customers in the form of obligatory reviews, ratings, testimonials, and commentary. How honest is this feedback though? Experience has shown that when a company begs for feedback, it’s usually fake-positive. People feel as if they are obliged to write something good if they’re being asked for it. This type of feedback does nothing good for the business as it has no value attached to it. Well, it might make the owner happy for a while but that’s it. What a business really needs is some honest, actionable feedback expressed freely by its customers. This type of feedback you can trust as it is biased as everything in this life. The stronger people express their opinion, the more your product means to them – whether it’s «thumbs up» or «thumbs down». Interestingly enough, negative feedback provides much more great insights than positive. If people speak negatively of your brand, it means there’s a lot of room left for improvement. Use brand mention monitoring tools (again, we’ll delve into that subject in a separate article) to find feedback about your brand on social media, blogs, and various reviews/rating websites. You may have a very well-established idea of what your brand is, what it stands for and how it should be perceived by others – your customers included. Good for you. However, the actual customers and fans of your brand might not be sharing your perception to the point where it becomes a totally different concept to them. It’s often very revealing to understand how others accept your ideas – the actual results might surprise you a lot as it has already happened with many businesses. Quick Fact: Until the day he died, John Pemberton, the man who invented «Coca-Cola» drink, had been sure that he was selling a medicine and advertised Coca-Cola as particularly beneficial for «ladies, and all those whose sedentary employment causes nervous prostration». Thanks for getting to the end of today’s «What Are Brand Mentions and What Do They Mean for Your Business?» article – I hope it was useful and interesting for you. What Is Social Influencer Marketing and Why Should You Employ It? Brand Strategy Consulting: How About Some Help from the Outside? Home » Blog » What Are Brand Mentions and What Do They Mean for Your Business?